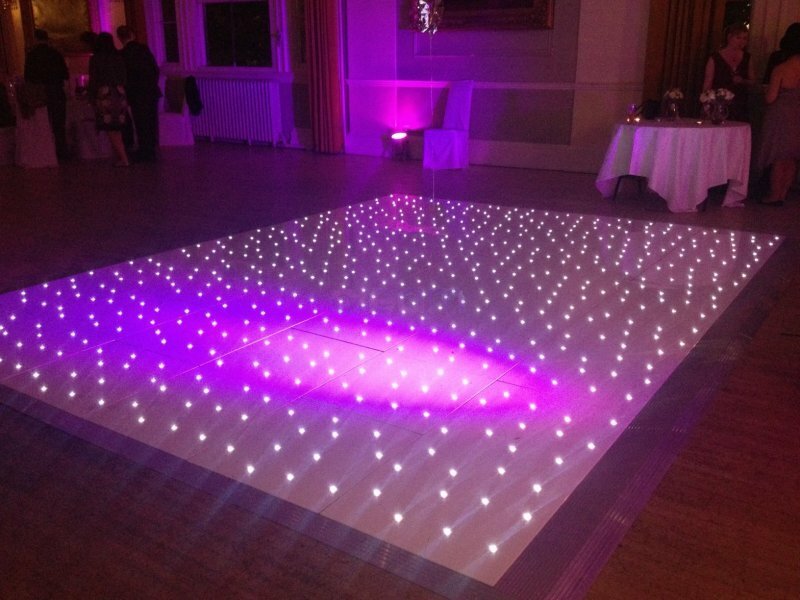 Our white Starlit LED Dance floor is now available for hire in Leicester and throughout the Midlands! 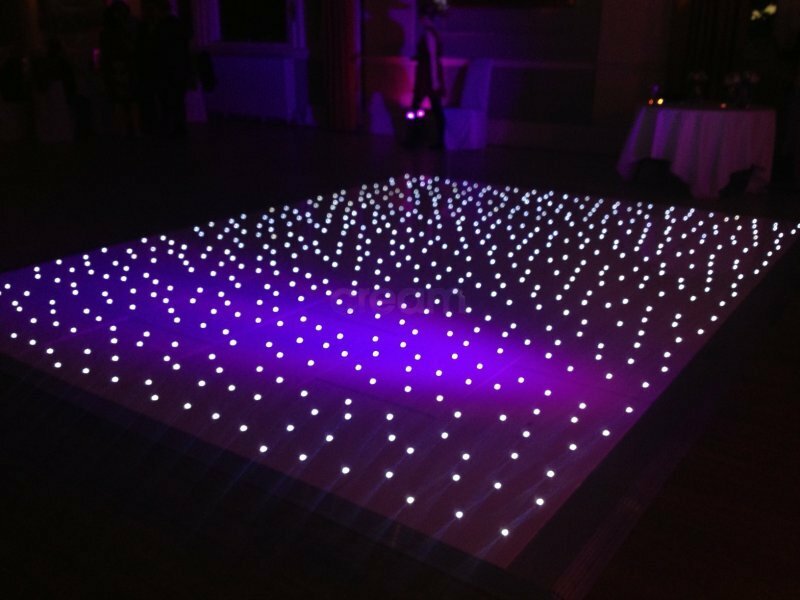 This stunning white LED dance floor will make a fantastic centre piece to any function room, marquee or space. 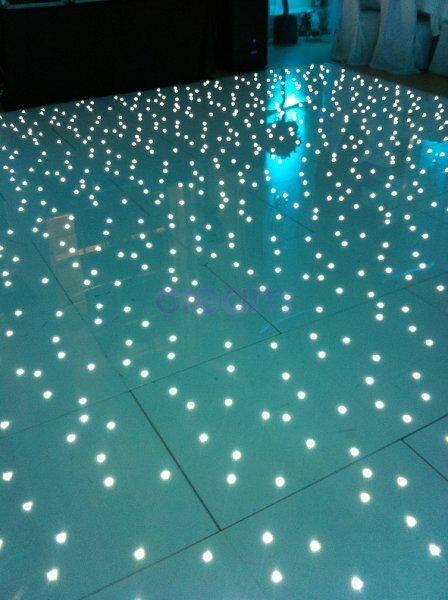 It’s bright white LEDs are set into a highly polished pure white dance floor which shimmers and sparkles with beautiful elegance. 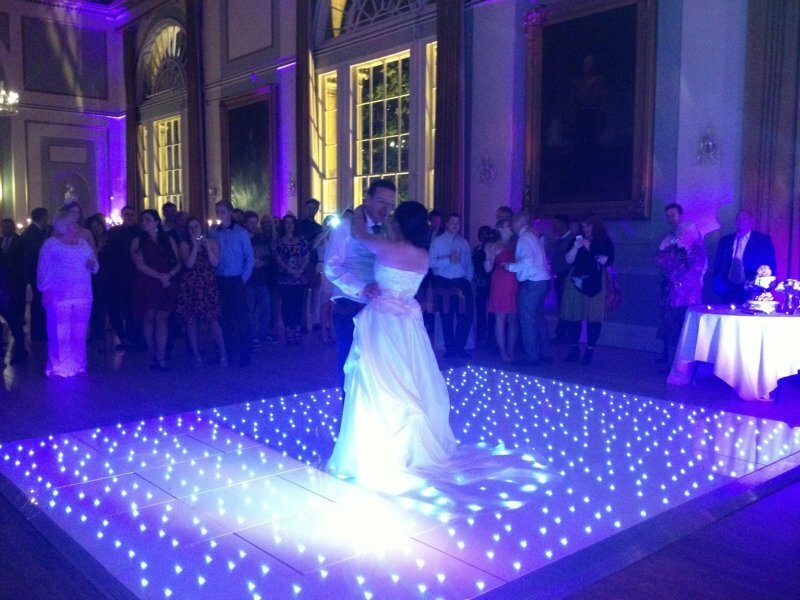 As the bride and groom step on to the dance floor for their first dance and it light up for the first time, it creates a real talking point! In fact people just cant wait to get on it. 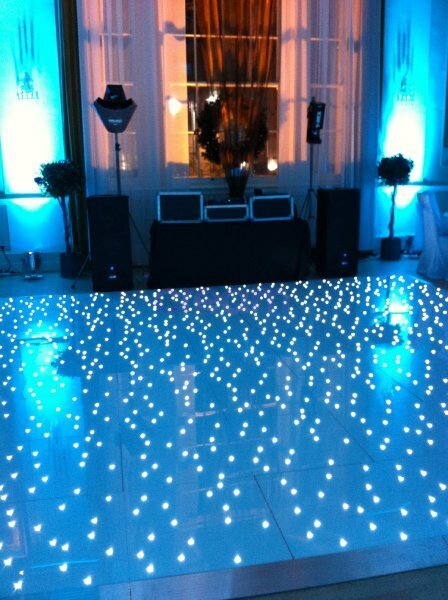 As the music starts to speed up the DJ can adjust the frequency of the twinkles creating a real wow effect! 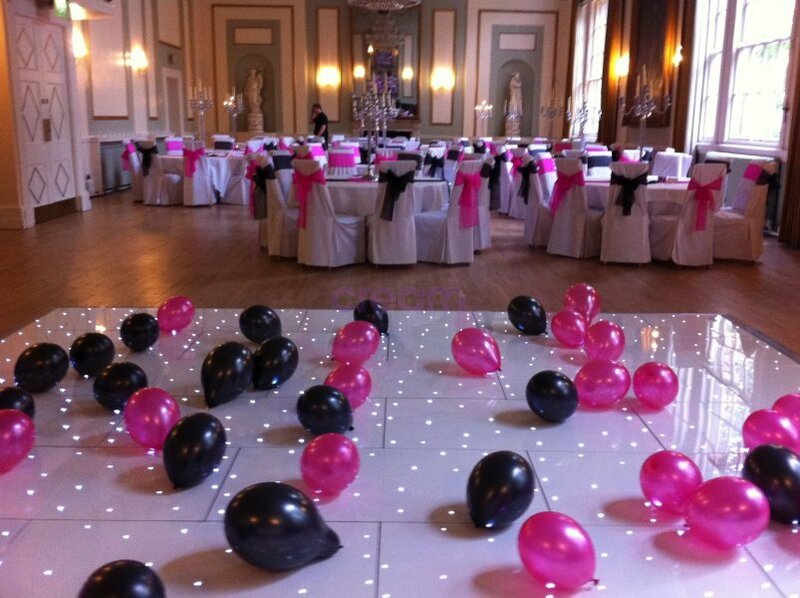 Our fully trained staff will deliver, set up and remove the dance floor at the end of your event so you don’t have to worry about a thing. 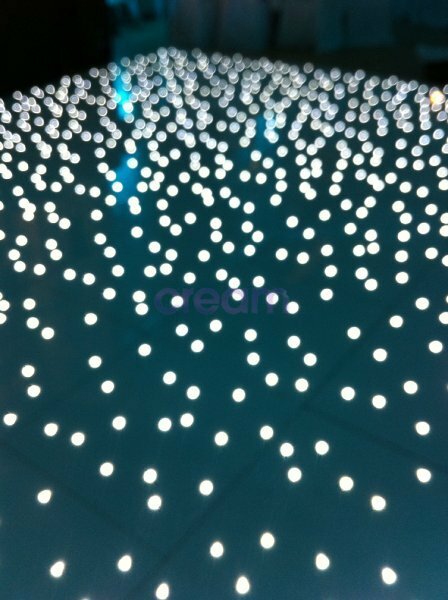 Due to its special design, the 16ft x 16ft dance floor can be laid in just 45 minutes. 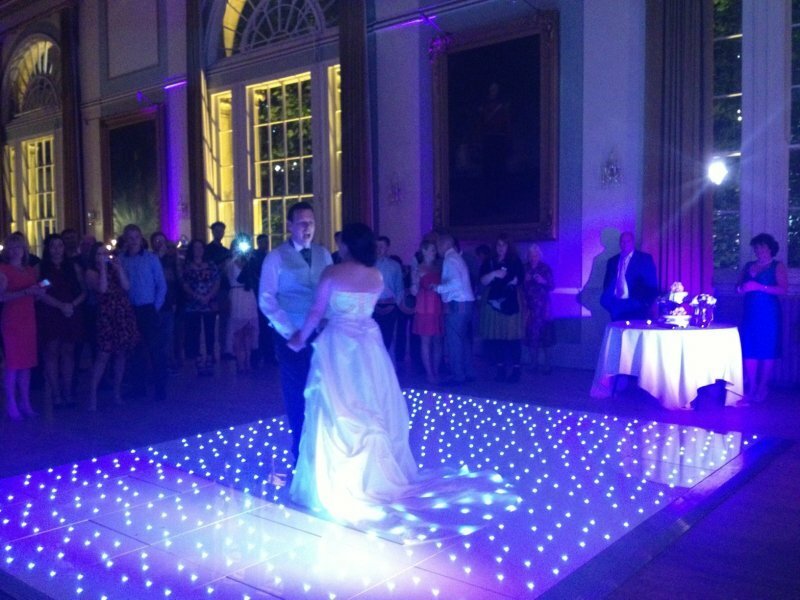 Our dance floor will fit into most venues due to the range of size and shape options, depending on your venue. 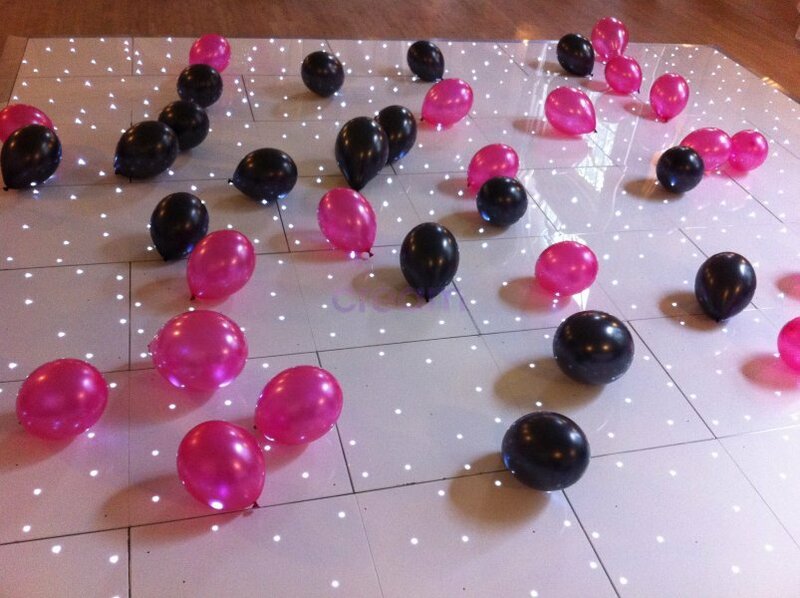 Our dance floors can be laid in a square, rectangle and other shapes to accommodate your venue layout. For further information and quotes then please contact us.